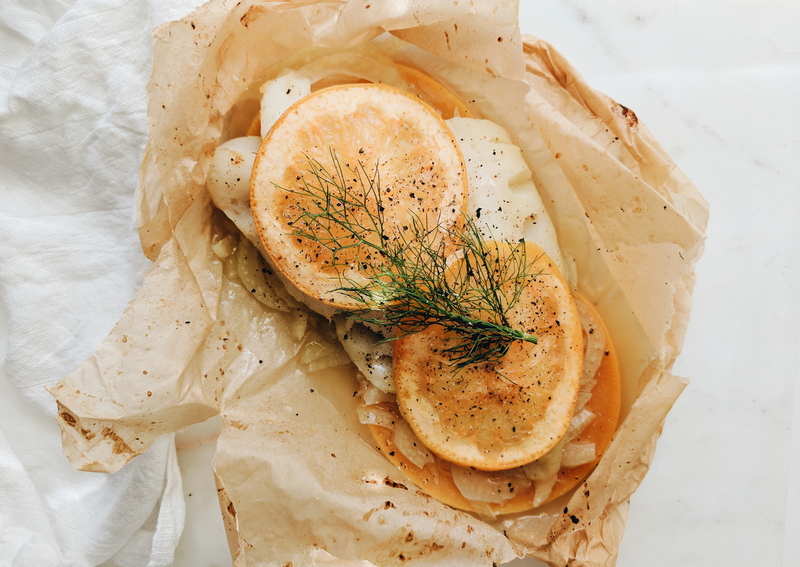 I’ve been meaning to try cooking fish en papillote (fish in parchment paper packets) for a while now. I like fish when it’s steamed and flaky. Not so much roasted or pan fried. 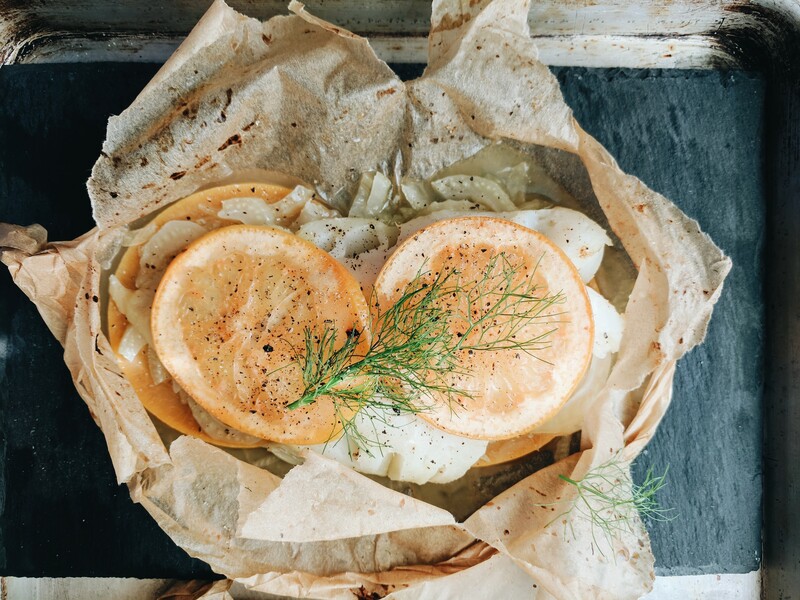 I cut a bulb of fennel and a pink grapefruit into thin slices. 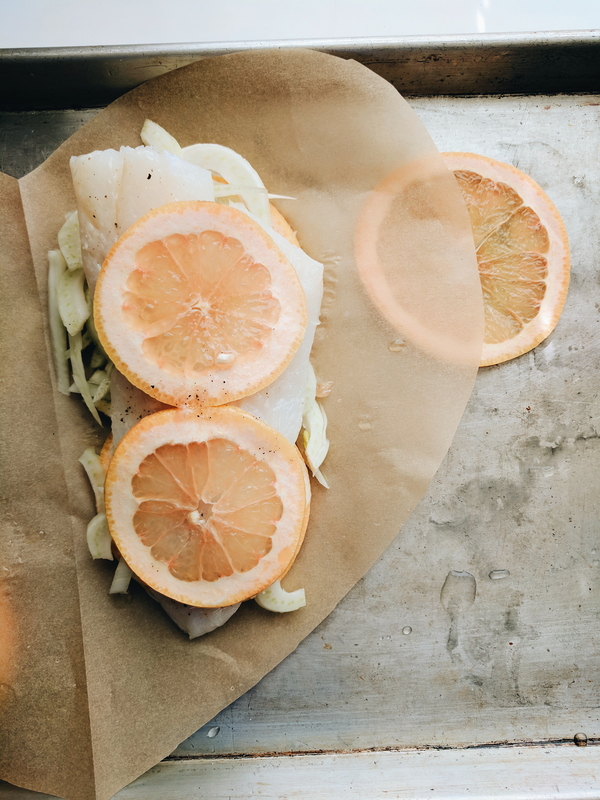 From bottom to top, I layered the fennel, grapefruit, cod, grapefruit juice, melted butter, and another set of grapefruit slices. I sealed the packets tightly and baked at 450°F for about 16 minutes. Honestly this was so easy and refined, but I felt like a French master chef while making it. 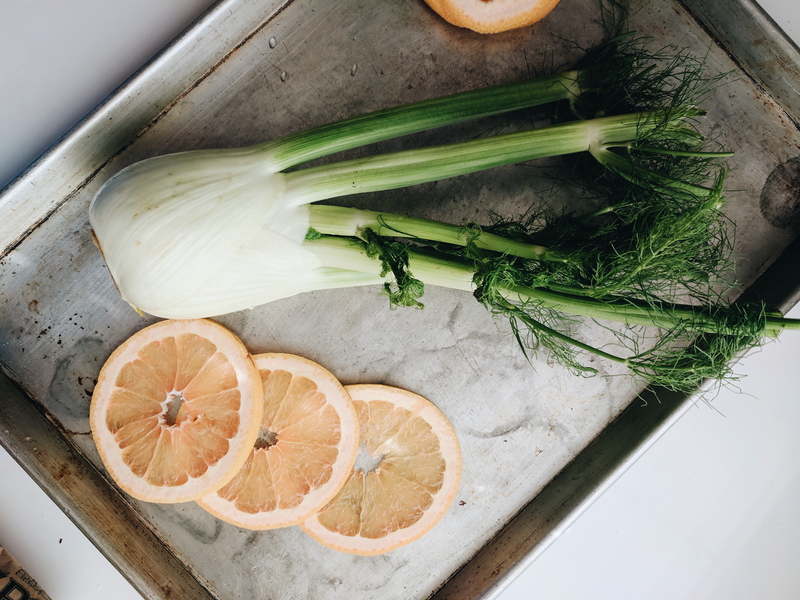 I garnished the fish with some fresh fennel fronds and cracked black pepper. MMM.